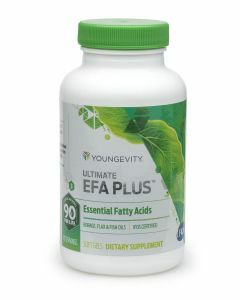 Ultimate™ EFA Plus™ is a proprietary blend of essential fatty acids from Borage, Flax and Fish Oils. Used as part of a healthy diet, essential fatty acids may support the body in many ways, especially cardiovascular health. WARNING: If you are pregnant, nursing or taking medications, consult your healthcare professional before using this product. This product contains ingredients derived from Anchovy and/or Sardine and/or Pollock; and, may contain sunflower, canola or soybean oil. KEEP OUT OF THE REACH OF CHILDREN. DIRECTIONS: Take 1 soft gel three times a day or as directed by your healthcare professional.